Add some of that rustic industrial chic to your home or garden with this adjustable bistro, bar style table. 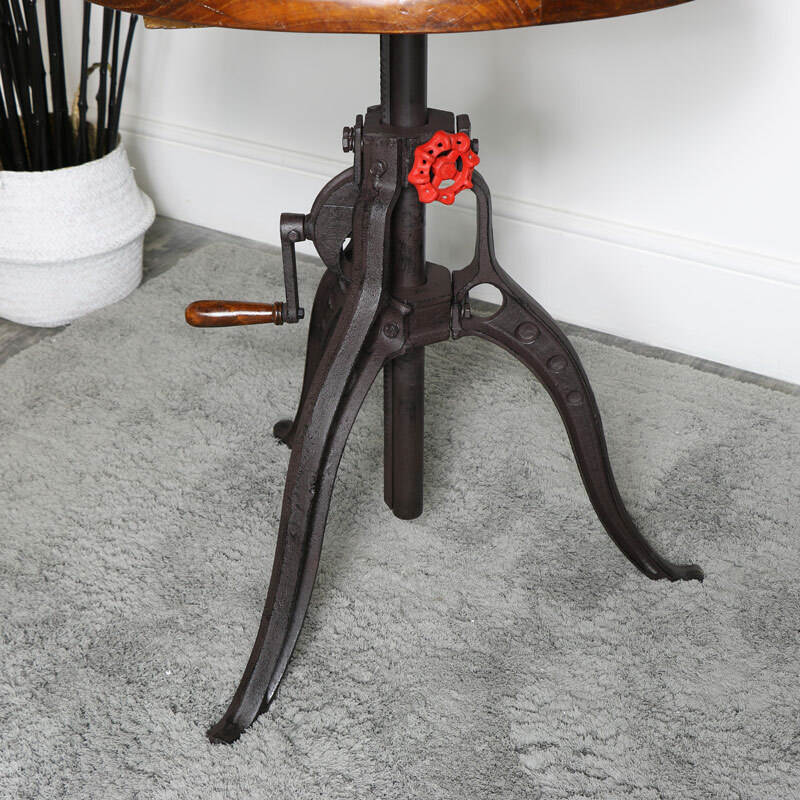 Sturdy round wooden table top with adjustable metal base. Ideal for the home or garden and will also be just perfect for a bar, club or bistro. This will look great used alongside our other rustic, industrial furniture for a unique and eclectic look. Offering the perfect look for the modern or rustic style interior, this is a practical and robust piece of furniture. 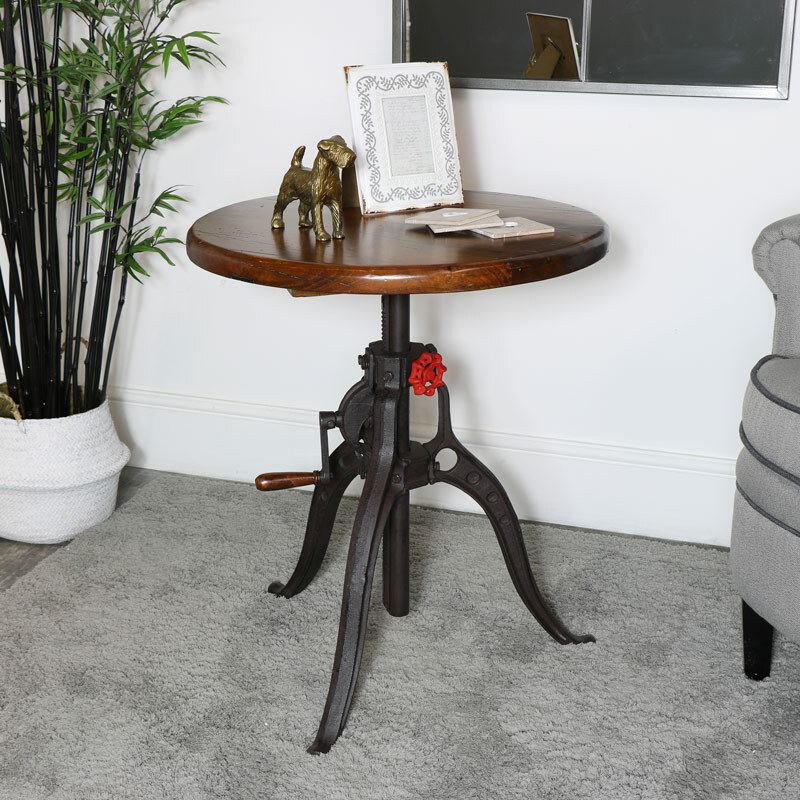 Add some of that rustic industrial chic to your home or garden with this adjustable bistro, bar style table. 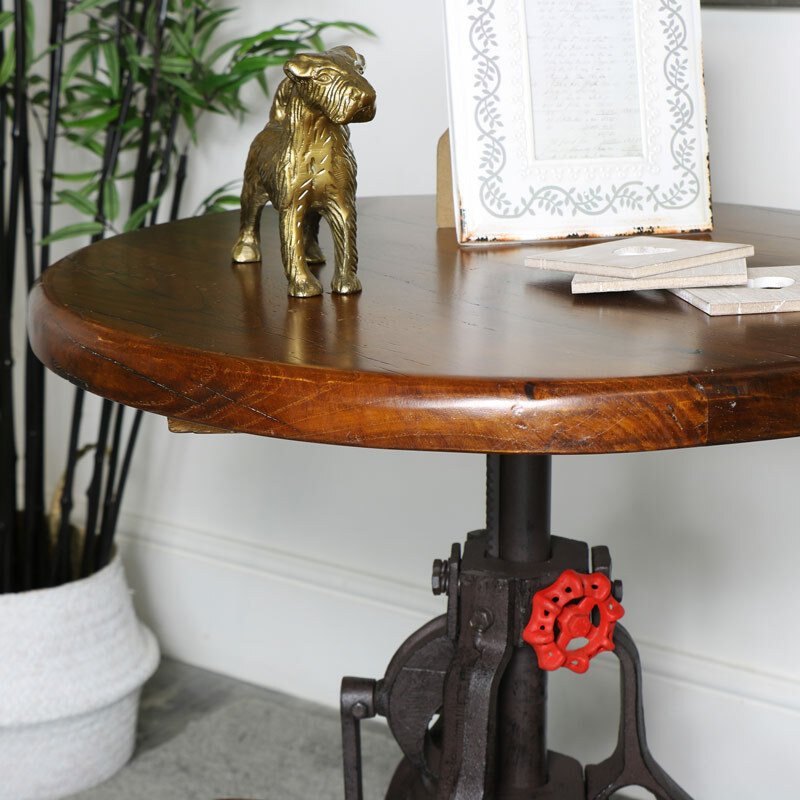 Sturdy round wooden table top with adjustable metal base. Ideal for the home or garden and will also be just perfect for a bar, club or bistro. This will look great used alongside our other rustic, industrial furniture for a unique and eclectic look. Offering the perfect look for the modern or rustic style interior, this is a practical and robust piece of furniture. Round natural wood top with a metal base. The table does require assembly with the top to attach to the table base. The table height adjusts from the lowest point of 64cm to the highest of 90cm. With a great choice of furniture available at your finger tips, we have just what you are looking for. From the retro, rustic and industrial to the more elegant French, country chic.